Two related decisions handed down this year by an Illinois federal district court involve thorny issues emanating from a multi-million dollar consent judgment. In the first decision, the district court denied cross-motions for summary judgment brought by the insurer and the underlying claimant in relation to a $14 million consent judgment. Specifically, the district court held the reasonableness of the settlement could not be resolved by summary judgment. In order for a consent judgment to be reasonable, Illinois uses the prudent uninsured test. Indeed, the district court stated the settlement may be unreasonable since the settlement negotiations were speedy and clearly intended to target the pockets of the insurer. Also, the policyholder did not counteroffer or negotiate with the underlying plaintiff. Further damaging to the policyholder was the fact that the agreement was concealed from the insurer for several days and the policyholder may have acted in bad faith due to evidence of allocation manipulation. 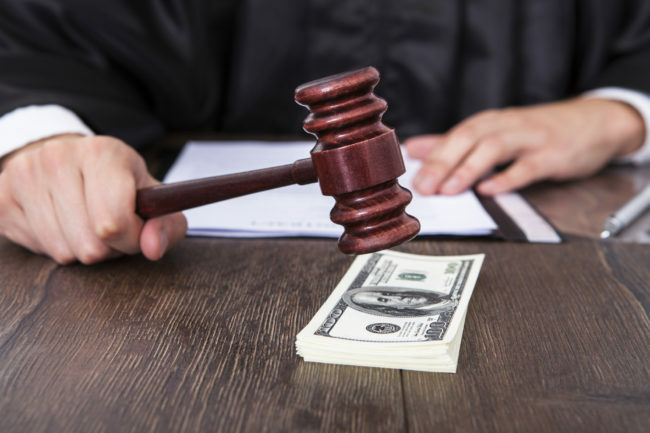 Nevertheless, summary judgment could not be granted in the insurer’s favor because it was still possible that a prudent uninsured might have settled for $14 million in light of the viability of the defense after unfavorable pretrial rulings. The second decision handed down nearly five months later analyzed, in pertinent part, whether the reasonableness of a consent judgment may be tried before a jury. It is well-established Illinois law that following a consent judgment between a tort claimant and an insurer, an insurer may challenge the settlement on the grounds of reasonableness and collusion. The question, therefore, was whether the issue of reasonableness was to be tried to a judge or a jury. Following an extensive analysis of the right to a jury trial under the Seventh Amendment, in particular whether the remedy sought was more legal or equitable in nature, Judge Manish Shah concluded the claimant had the right to a jury trial. These two decisions have great significance for insurers. The first decision does much to illustrate the problems an insurer faces as soon as its insured and the claimant begin negotiating a consent judgment. It also shows the fact-intensive nature of a reasonableness inquiry, following a consent judgment, and the challenge of resolving such coverage disputes by summary judgment. The second decision is particularly worrisome for insurers, especially if other federal courts adopt this approach. Insurers are already in an unenviable situation where their insureds work with tort claimants to set up the insurers for massive judgments, which are designed to be paid if coverage is found for the claim. Insurers have an important arrow in their quivers, namely, the ability to challenge the reasonableness of a settlement. Nevertheless, if insurers must try that question to a jury, it stands to reason that juries may be reluctant to find a settlement amount agreed to by the plaintiff and defendant so unreasonable as to invalidate it. Thus, the second decision amplifies the concern insurers may feel when confronted by the prospect of a consent judgment.